Raju Dhamala, Executive Director, has been at the helm of NYF since 2006. Raju brings strong administrative skills, excellent people skills, and a sound knowledge of financial administration to his position. His calm nature is a tremendous asset in the handling of challenging situations. Raju has been instrumental in the growth and influence of NYF and its many successful projects. He holds a master degree in Business Studies, as well as in International Co-operation and Development. Riswo Ram Gorkhali, Operations Director, oversees Human Resource Management, Procurement, Finance planning & Disaster Relief Response for NYF in Nepal. Riswo possesses strong interpersonal skills and valuable HR and operations management experience in the banking, corporate, education, and social services sectors. Riswo holds a master’s degree in Business Administration. Mansa Bhattarai, Monitoring and Evaluation (M&E) Coordinator, is responsible for M&E of NYF’s programs, to check the progress against program plans and to ensure that NYF’s programs meet the quality, compliance and accountability requirements of the donors and stakeholders. 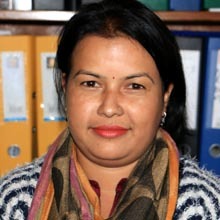 Initially Mansa joined NYF as the Manager of the Kathmandu Nutritional Rehabilitation Home (NRH) in 2002, and also worked as Nutrition Coordinator for the NRHs nationwide for 10 years. Her tenure with NYF and prior experience in government office will continue to be an invaluable asset in her work. Mansa holds a master’s degree in Economics. Sarita Neupane, Finance Controller in the Nepal office, is a chartered accountant with advisory, financial management, and auditing experience for international development organizations and for public and private companies. Sarita prepares NYF’s financial statements, ensures financial compliance with partner organizations and trains those organizations in fund management and reporting. Anjita Parajuli, Communications and Development Coordinator, is a key member of NYF’s development team. Anjita works on grant proposals, reports, and other fundraising projects with the project team in Nepal and with the staff at NYF’s headquarters in the U.S. As the ‘point of contact’ for NYF’s fundraising chapters across the globe, Anjita disseminates project information and keeps the chapters current on NYF developments. 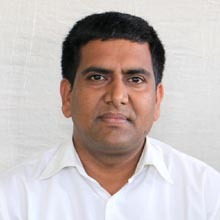 Man Bahadur Chhetri, Coordinator for Empowering Freed Kamlaris (EFK) program, joined as the Manager of NYF’s acclaimed Indentured Daughters program in 2003 and was a frontline leader in the rescue of more than 12,700 Nepali girls from indentured servitude, a practice known as Kamlari. Man is now leading the entire EFK program, an undertaking committed to building a brighter future for these former child slaves. His efficient community-organizing skills and passionate advocacy for girls’ rights make Man unusually effective in the field. Before joining NYF, Man successfully challenged the Deuki system of child temple prostitutes. Sunita Rimal, Nutrition Coordinator, is responsible for overall nutrition project of NYF across Nepal. She also manages the Nutrition Rehabilitation Home (NRH) and the New Life Center, both located in Kathmandu Valley. She conducts training programs in nutrition and diet management for medical students and healthcare workers at the Kathmandu NRH, NYF’s flagship nutrition home. Sunita holds a master’s degree in Health and Nutrition. 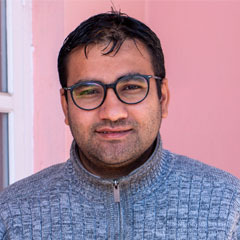 Sanjoj Maharjan, Manager of Information Technology (IT), has worked in the field of information technology for more than a decade. Sanjoj brings sound technical expertise to his position. He has overall IT responsibility for all of the NYF local and global networks. Sanjoj manages the NYF website, the social media sites and the organization’s branding materials. He also provides necessary technical support and training to the staff. Rashmi Kafle, Manager of the Vocational Education & Career Counseling program, has been with NYF since 2008. Her prior experience in managing youth vocational education and career counseling has been particularly helpful in effectively implementing the NYF program. Rashmi holds a master’s degree in Psychology. Sumitra Dhakal is Manager of Ankur Counseling and training Center. She joined Ankur in 2010 and holds a master’s degree in Clinical Psychology. She is managing Ankur in the absence of Chhori Laxmi Maharjan, who is currently on leave as a doctoral student at California Institute of Integral Studies (CIIS). Umesh Raj Regmi, Program Coordinator of Education & Youth Empowerment, has been leading NYF’s Education program since joining the organization in 2013. Prior to NYF, Umesh worked as a research scholar at Southern Methodist University in Dallas, Texas, USA. He holds a master’s degree in English. 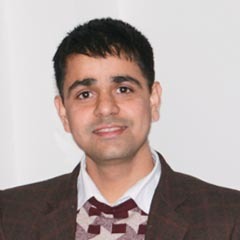 Dipak Bhattarai, is the Account Manager at Nepal Youth Foundation-Nepal. He has over 13 years of experience in accountancy and has been working at NYF since 2005 with remarkable competency. 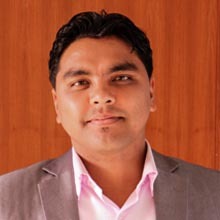 Lalit Gahatraj, is the Operations Manager at NYF. He has been a long time NYF employee. He had joined the organization in 2004 and worked in NYF’s nutrition program for 11 years. After the earthquake in 2015, he looked after the post-earthquake reconstruction project. With the completion of the reconstruction project, he has now taken responsibility of the day to day operations of NYF as the Operation’s Manager. Rajan Pandit, is the Manager at the Olgapuri Children’s Village. He takes care of overall planning and management of the children’s village. Rajan is himself a NYF student alumni, and joined NYF as a staff in 2011. As a student, he also got prestigious Fulbright scholarship under NESA-UGRAD program for a year in the US and studied at State University of New York (SUNY) Cobleskill. Subash Pandey is the Monitoring and Evaluation Manager at NYF. His primary role is to ensure that NYF’s programmes meet the quality, compliance and accountability expected by governing bodies, donors and stakeholders. Subash has Masters in Engineering and Project Management from THM, Germany and has Diploma in Monitoring and Evaluation from NILRED – Delhi, India which he had attended under ITEC –scholarship of Government of India..
Bhim Shrestha and Shreemaya Shrestha are the house parents of senior girls at Olgapuri Children’s Village. The couple has many years of experience as house parents. Bhim is also a psychological counselor and holds a post graduate in Psychology and Bachelor’s degree in management. Pushpa Thapa and Bishnu Rana are the house parents of junior girls at Olgapuri Children’s Village. While Pushpa has been working with NYF since 2004 as a social worker, she and her husband took on the roles of house parents since August, 2017. Bhadra Gautam and Chadramani Gautam are the house parents of senior boys at Olgapuri Children’s Villlage. The husband and wife pair joined NYF in April, 2017. Both of them have long experience of working with children as house parents. 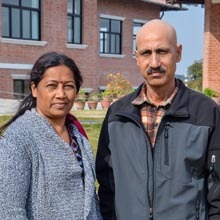 Dipak Raj Onta and Samana Amatya are the house parents of junior boys at Olgapuri Children’s Village. After the 2015 earthquake, Dipak managed the transit home that NYF had established in Gorkha for children displaced by the earthquake and also oversaw NYF’s EQ-scholarship program in the district. Both husband and wife joined NYF as house parents in January 2018. Samana is a fashion designer by profession.